This is one spicy dal soup not for the faint of heart! Remember the red lentils I cooked yesterday that turned up mushy (originally intended for a lentil salad)? Well something good, really good came out of that mistake! This is the dal soup I created with them and boy is it good and spicy whoa! I don’t mind cranking up the spice level as long as I can still taste the flavors of a dish. 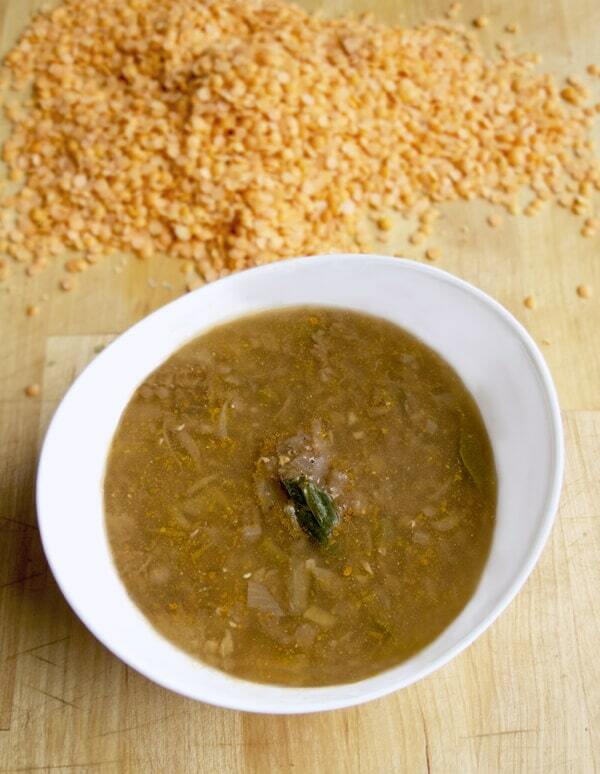 This dal has both heat and flavor, and a wonderful aroma to boot! This is actually my first attempt at making dal, I usually only eat it when I’m dining at an Indian restaurant. I always thought it would be hard to make since the flavors taste so complex, also I’m not very familiar with Indian cooking. Technically, this soup has the potential to be a pain to make if you are doing it from scratch. By that I mean making your own garam masala (crushing cumin seeds, cardamom pods, peppercorns, cloves, cinnamon, and a variety of other spices). But I have pre-made masala blend (really easy to find in most grocery stores or health food stores) so my prepping took less than 10 minutes of mostly chopping. The basics of this dal; chopped onions, garlic, jalapeno and ginger. What I like doing whenever I make a big bowl of soup is to save individual portions in small tupperware containers. This makes eating lunch very easy and convenient! 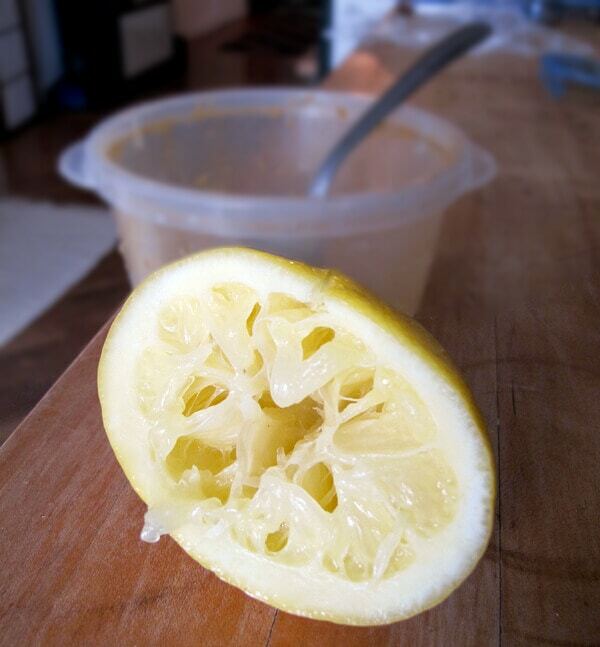 I still have two containers left in the fridge and one very squeezed lemon 3 days later! It simplifies life whenever I have good, healthy, home made meals in the fridge. I get to enjoy the food even more when it’s guilt free and I know exactly what ingredients went into it. Squeezing a good amount of fresh lemon juice into dal is my default way of eating it. The seeds are what makes peppers hot. So if you like the taste of hot peppers but not so much the heat, discard the seeds and only use the flesh. I have a great Vindaloo curry recipe for a complete Indian dinner, or you can go milder and serve this dal along with a kale Caesar salad. 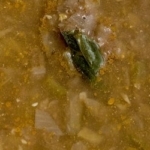 This is a light, filling and nutritious curry flavored lentil soup topped with a squeeze of lemon juice. Delicious! In a large pot over high heat add olive oil, garlic, onions and ginger. 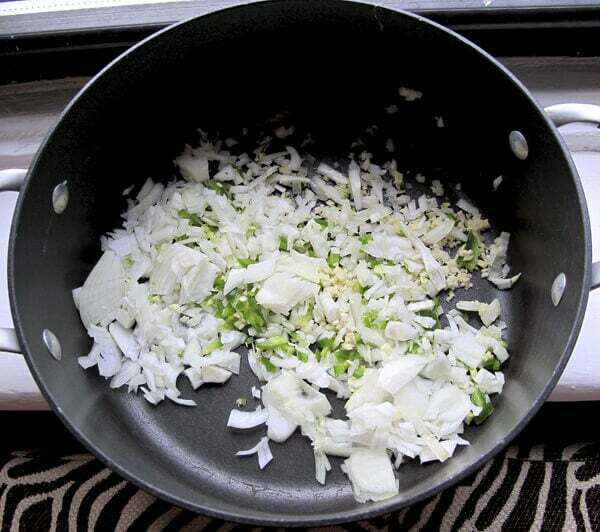 Cook for 7 minutes or until onions are soft and translucent. Add tomato paste, stir well and add turmeric, garam masala and salt. Stir. Add vegetable broth and lentils, and bring to boil. Lower heat, cover and simmer for 30 minutes. Turn off the heat, add cilantro and stir. Season with salt and pepper and serve with lemon wedges.